Do you ever find during difficult times that you turn to something that makes you feel good, but is actually pretty bad for you? Like binge eating, smoking, or watching too much TV? That’s because all of these things are temporary distractions that help us feel a little bit better in the moment. During moments of distress, we turn to things that we know are bad for us. It’s not just because we crave what is bad for us, it’s also because we have created these habits. They are engrained in our brains, so when we’re feeling overwhelmed and burnt out, they are the first things we turn to. Why do we Form Bad Habits? We form bad habits when we don’t have the right resources to develop healthy habits. These things trigger us to get into our habits. Let’s say you feel stressed out at work, so you immediately reach for a cigarette. That’s a habit made from something triggering the feeling. Then, you become so used to reaching for that cigarette every time you’re stressed, it turns into a natural reaction. And the end result is you feel more relaxed after smoking. Or you feel comfortable after emotionally eating. It all starts with a trigger, then the natural reaction or urge you feel from the trigger, which turns into what you get out of that habit. First start with figuring out what sets off your bad habits. What’s causing you to feel stressed? Does this stress reoccur often in your life? Recognize what is triggering stress in your life, and work on eliminating those triggers. If you find every day after work you go for a glass of wine, go for a walk instead. Or, completely remove the wine from your house and focus on something else. Breaking bad habits starts by first recognizing your triggers, then changing the pattern engrained in your brain. As you are focusing on what triggers your bad habits, come up with some ways you can change them. When the urge comes along to do what you’re so used to doing the face of stress, you’ll have to be prepared to consciously make the effort to do something different. Replace your bad habits with something healthier. If you always look for chocolate when you’re bored, eat an apple. If you’re bored, try out a new activity that keeps your mind occupied. Habits aren’t easy to just let go of. Especially if your habit is a highly addictive source like smoking. You most likely can’t just turn the switch off and always choose to replace bad habits with good ones. It will require taking baby steps. The nice thing about creating small habits is they are easy to implement into your life. Instead of trying to change everything all at once, just start small. Do what you can to practice building new habits and eventually those things will start to replace old bad habits. Our environments play a huge part in building habits, good or bad. When your kitchen is full of unhealthy convenient food, the decision to make a healthy meal is almost impossible. Especially if you have to go to the grocery store and take an hour to prep it all. You can plan it out and use Sunday’s to meal prep for the week. It takes the guess work and effort out of making the right choice. If you are working hard at studying more but live with loud roommates, find a quiet space in your room or a spot at a nearby coffee shop to reduce distractions. Setting up an environment that supports your habit changes will make it much easier to stick to them. Changing habits that have been engrained in you for months or years is tough. We have a lot going on during the day and trying to keep up with it all is exhausting. Sticking to new changes is a challenge, and if there isn’t much benefit from it you’ll wonder why you’re doing it in the first place. Setting up a reward system is a great way to keep you on track and remind you why you want to develop better habits. If you have a habit you want to change you can try a 21-day challenge. It typically takes around 21 days to develop a new habit, and challenges make it fun to try something new. And, 21 days isn’t that long. Think about how fast 3 weeks go by! At the end you can give yourself a reward, like buying a new outfit or celebrating with a nice dinner out. You can also set weekly goals. If you want to start working out more, you can work really hard for 4 or 5 days out of the week and then use 2 days to relax. The reward system works because it makes you work hard towards what habits you want to change, then you get a break. Doing this creates a good balance, and it motivates you to stick to your goals. Why do you want to change your old habits in the first place? Is it for your health? A better life? More money? For habits to change you have to want it bad enough. During the moments when you’re questioning why the heck you want to change, when it was way easier before, remember why. Our willpower isn’t the strongest and we can’t always rely on it. This will keep you in check during the times you want to just give into your old habits. It’s not the easiest thing to do, but remembering why you’re doing it in the first place can help you to keep going. If you’re looking for more help on breaking bad habits, becoming more resilient, and creating your dream life, make sure to check out Natalie Bacon’s Design Your Dream Life Academy. This is how I learned to identify my own bad habits and replace them with better ones. 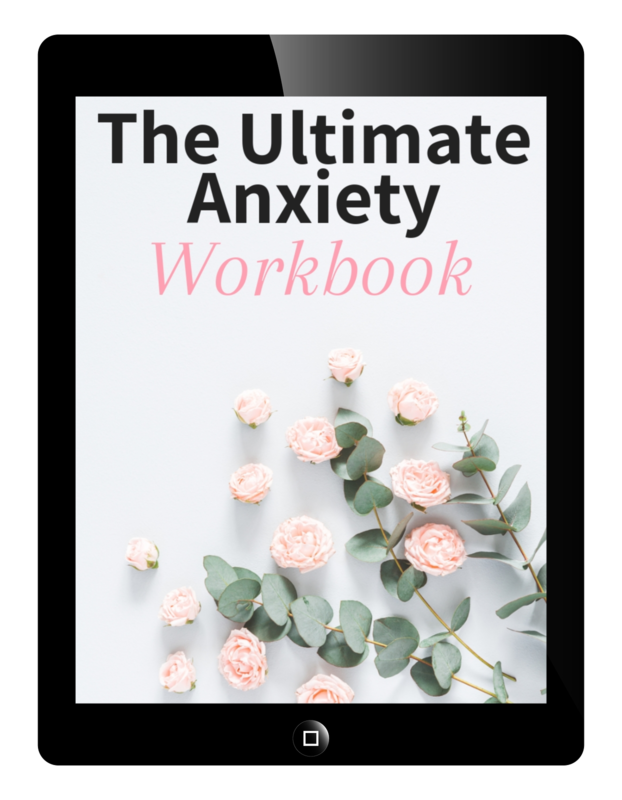 The information packed in this course will get you well on your way to overcoming mental roadblocks and start living the life you’ve been dreaming of. The course begins with working on your mindset to push through obstacles and ends with giving you important life skills that everyone needs to know.